Visiting from Calgary, Laine McKay plays a tune on a hot summer day. 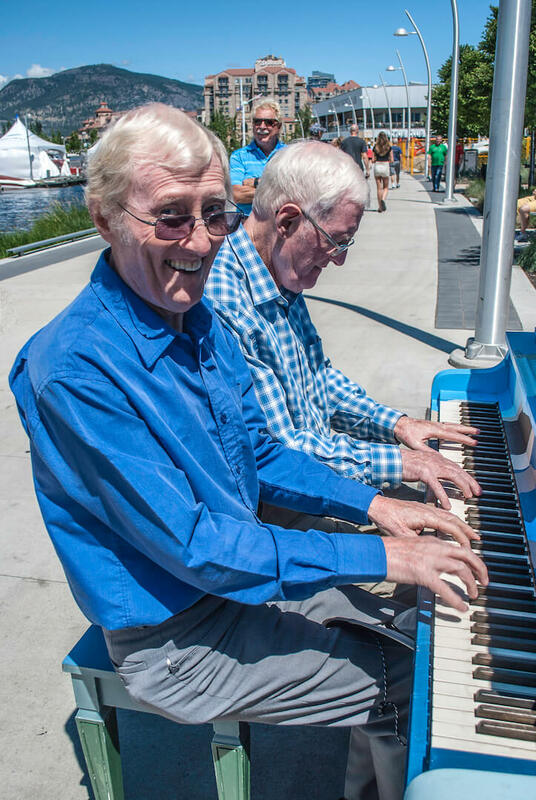 A summer stroll in Kelowna offers more than serene lake views; it provides an opportunity for people of all ages and abilities to express themselves musically. 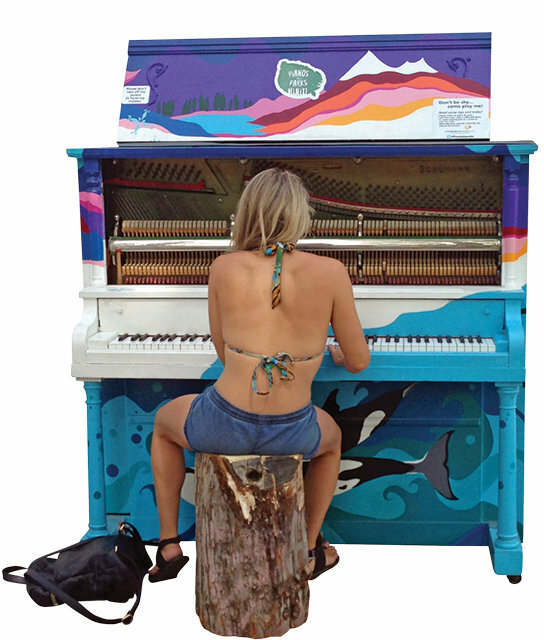 Pianos in the Park officially launched in 2015 and initially offered five pianos placed strategically throughout the city where passersby could take a moment to “tickle the ivories.” Donated and maintained by Keystone Music, the pianos are decorated by local artists and members of the Parks Alive staff. Support for the initial program came from Disney Interactive; this year Re/Max Kelowna provided sponsorship. The initiative proved so successful that it is rapidly becoming a summer staple where tourists and residents alike congregate to express themselves. Numerous photos and videos of people playing for themselves, and for people who linger to listen, populate the Internet. On any given night during the summer months, everything from Chopsticks and Heart & Soul to Moonlight Sonata can be heard drifting through the air. Placing a piano into the space acts as a catalyst for conversation and changes the dynamics of the space. 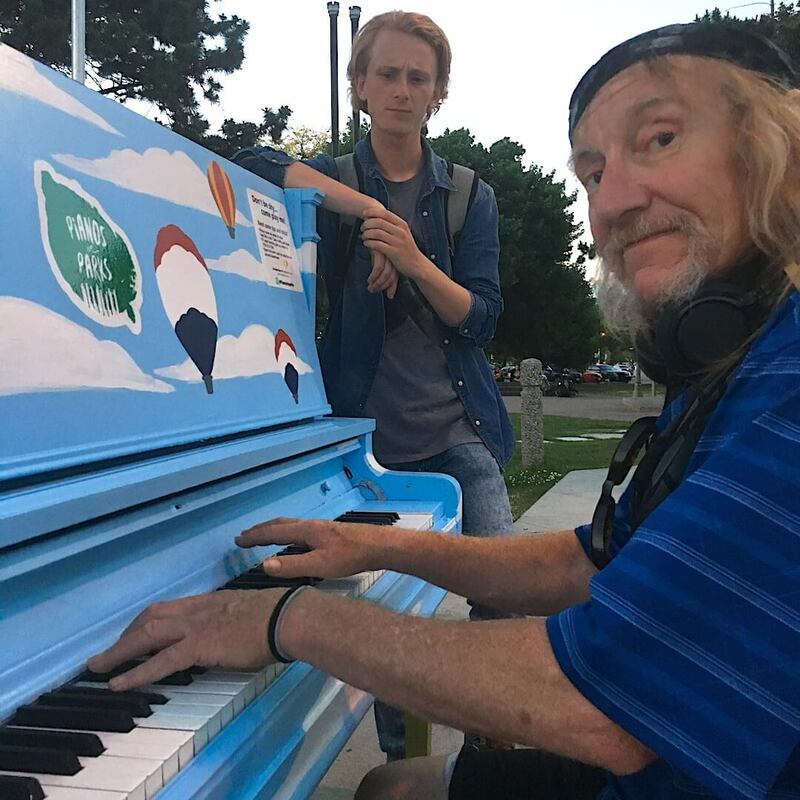 “It’s the best thing that ever happened to the city to bring people together,” says longtime resident and musician, Coach Mack, who had just struck up a conversation with a young musician new to town. The concept of public pianos began in 2008 in Birmingham, UK, when artist Luke Jerram initiated Play Me, I’m Yours. The program placed 15 pianos across the city for three weeks with an estimated 140,000 people playing at least a few notes. 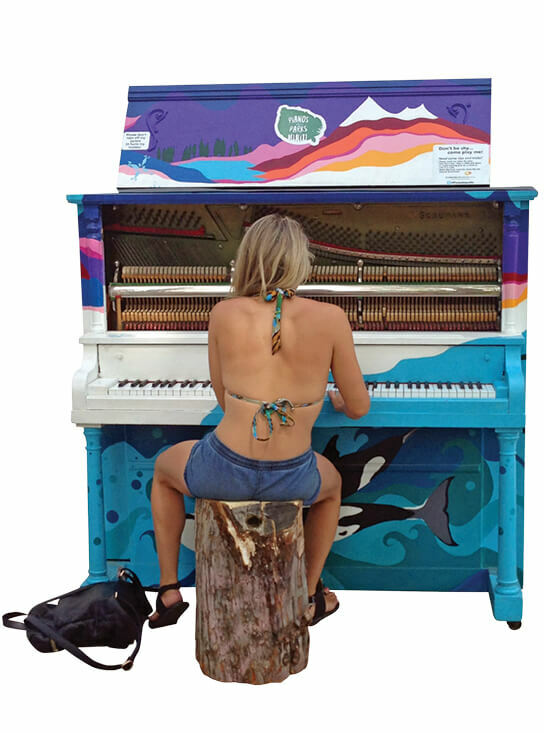 Since that time, more than 1,900 street pianos have been placed in 60 cities worldwide with an estimated 10 million people participating. Now in its fourth year, the program is going strong with eight pianos placed in downtown Kelowna, as well as under the dome at the Kelowna Memorial Cemetery and Roxby Park in Rutland. This year, local artists, including Jolene Mackie and Alex Fong, painted the pianos. 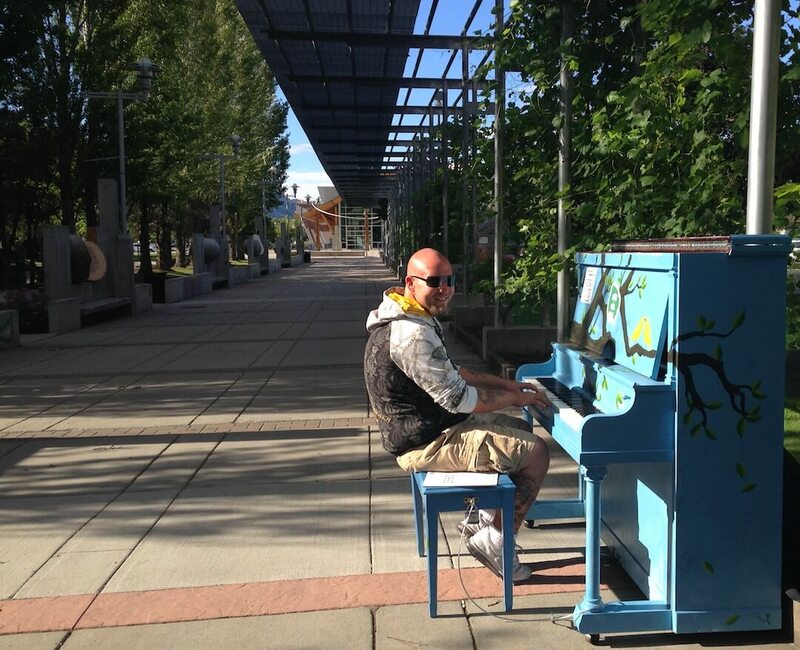 The program has also spawned a few celebrity sightings, most notably Steven Tyler who, in 2015, stopped by to play a few tunes to the astonishment of lucky bystanders only weeks after the pianos were first put in place. “Acoustic pianos were once a mainstay in the home but are becoming rarer as people opt for the portability of electronic keyboards. This program is breathing new life into instruments that would otherwise be thrown away,” says local musician Robin Jarman. 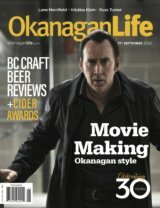 Kim Foreman-Rhindress is a well known Kelowna musician, actor, writer and director. She is a vocal instructor and owner of Kelowna Voice Lab who performs regularly with her husband in their duo "Smitten" as well as with her vintage trio "Kitsch 'n Sync".